A purely fun, social monthly meeting. You’ll have an AYC Bingo card. You and your table of sailing wizards will be called on to answer sailing questions. If you get the answer right, everyone in the room gets to mark the square. First to Bingo wins a fabulous prize. Maryellen Ferring with a little help from Mike will run this game and we’re thinking up questions now. Not stumpers, just good sailing questions in 25 different categories. To help beat the heat, the Caddy Shack will bring in $3 root beer floats, $5 with the very tasty addition of a shot of Jack Daniel’s. The meeting is Tuesday, July 11, beginning at 7pm (but arrive early for dinner). Monthly meetings are held at the Caddy Shack @ Rolling Hills Golf Course, 1415 North Mill Avenue, Tempe, AZ 85281-1205 (map) and both members and non-members are welcome to attend. 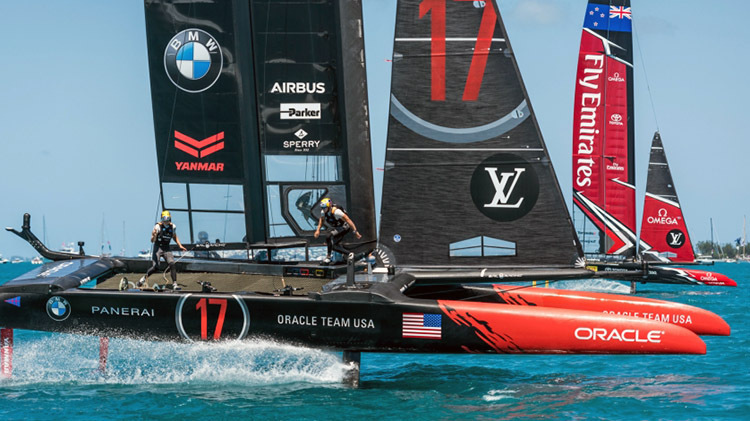 Can you answer a question about this year’s America’s Cup?